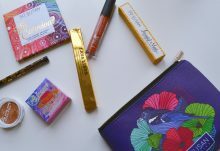 As usual, the Brick Loot monthly subscription box did not disappoint! 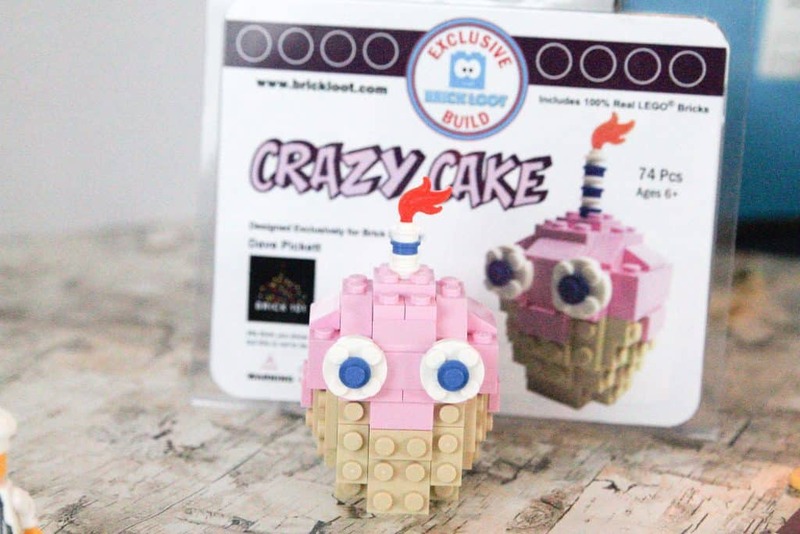 It was fun theme, great builds, and an adorable character and more! 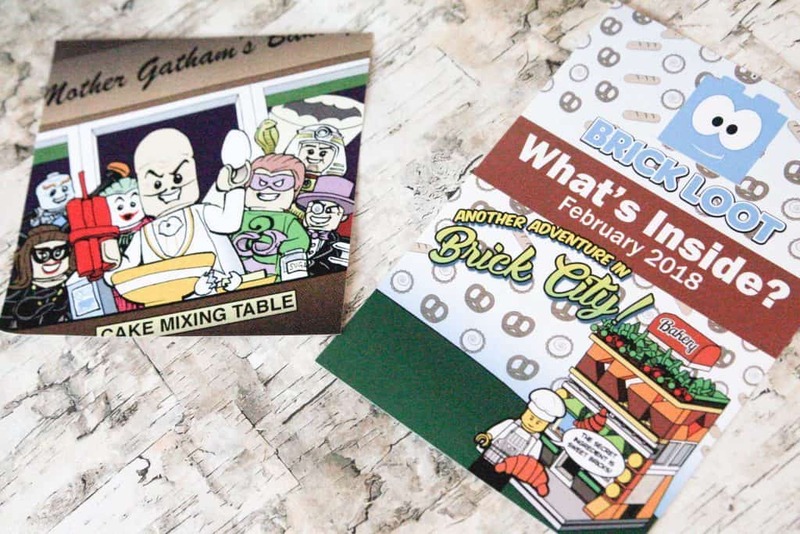 This month’s theme was another adventure in Brick City! 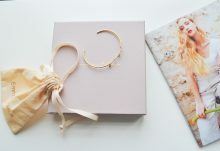 Every box includes a “What’s Inside” card which gives you all the details about the products included in your box. 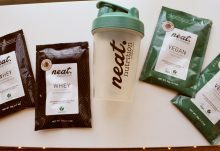 This month was centered around Bakery items. 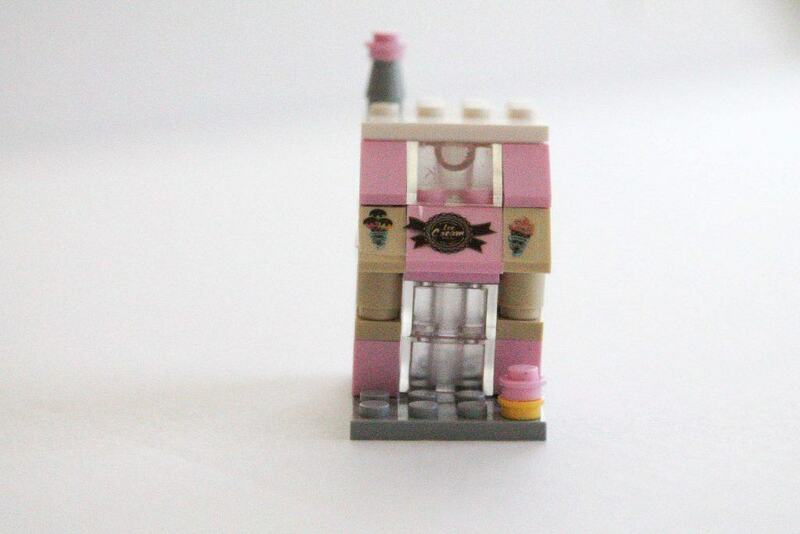 There was a Mini City Bakery Shop, Mini City Store, a Brick Baker, and Crazy Cake which were all simple, but fun builds. There is always an Exclusive Art Print. This months print is by Greg Hyland. He is a writer, illustrator, designer and storyboard artist for the LEGO Group. My kids love these prints for fun artwork in their bedroom. We frame them and hang them above their LEGO tables. My son thought this Crazy Cake was hilarious. It is an exclusive 100% LEGO build designed by Dave Pickett. It’s silly face and easy build was simple enough for my 6 year old to follow mostly on his own. 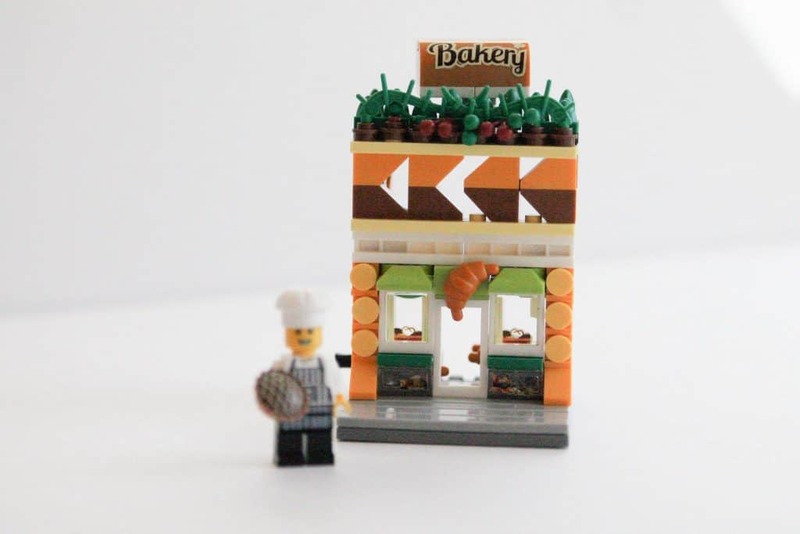 The Mini City Bakery Shop was the perfect addition to our ever growing LEGO city. The stickers on the windows were so simple to put on. Kind of like a temporary tattoo application. Now all of our LEGO mini figures have a place to go get a good donut! The Mini City Store was the easiest to build. It’s an ice cream shop and so much fun! The store is half the size of the bakery. But still looks great in the Mini City landscape. 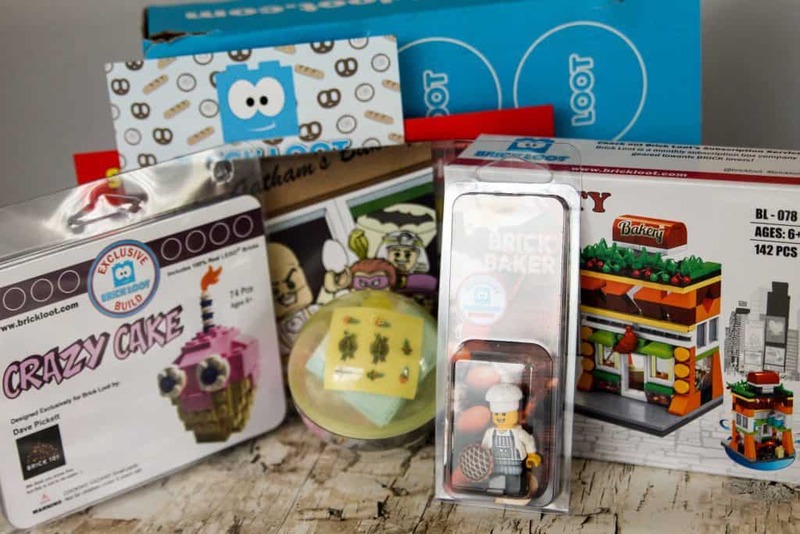 The Brick Baker was a favorite in this box. He has a printed apron and holds a delicious chocolate pie. After building all of these bakery shops and cupcakes, don’t be surprised if you want to visit a bakery yourself for some chocolate pie and crescents! 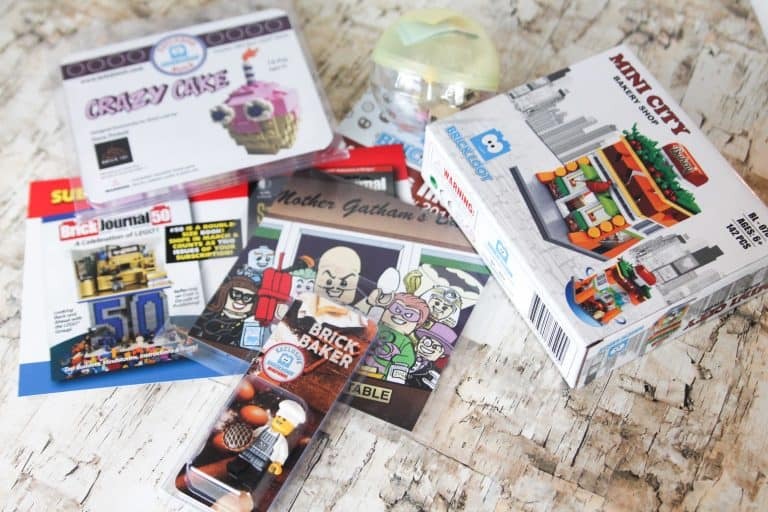 The Brick Loot Box is such a fun surprise every month. It’s a fun way to help your LEGO lover to continue to add to their collection and build a LEGO mini city. Every month is a new theme with easy builds that everyone can enjoy. Keikilani is a busy mother of six kids. She loves inspiring other moms to survive motherhood and find the GOOD in every day life. 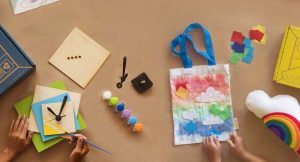 You can find easy recipes, parenting tips, kid activities, and family life inspiration at AllMyGoodThings.com.